Heat oven to 350°F. Generously grease bottoms and sides of 2 (8-inch) round cake pans with shortening. Line pans with waxed paper; grease paper and lightly flour. In large bowl, beat cake mix, butter, coconut milk, water and eggs with electric mixer on low speed 30 seconds. Beat on medium speed 2 minutes. Pour batter into pans. Bake 33 to 38 minutes or until toothpick comes out clean. Cool 10 minutes. Remove cakes from pans to cooling racks; remove waxed paper. Cool completely, about 40 minutes. 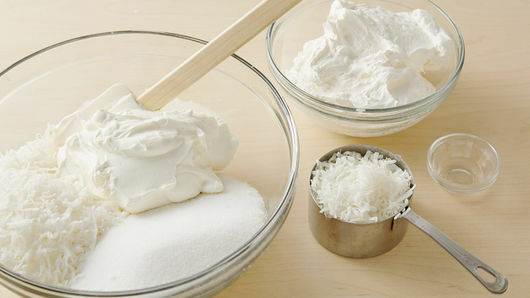 In medium bowl, stir together 2 cups of the coconut, the sugar and sour cream. Spoon 2 cups of the mixture into large bowl; stir in whipped topping, coconut extract and 1 cup of the remaining coconut. Set aside. 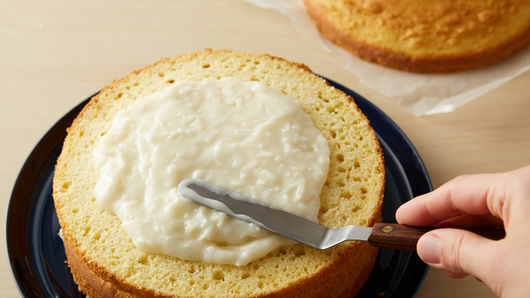 Cut each cake horizontally to make 2 layers. Spread one-third (about 2/3 cup) of the coconut-sour cream mixture without whipped topping on cut side of 1 layer. Repeat layers twice. Top with remaining layer, cut side down. 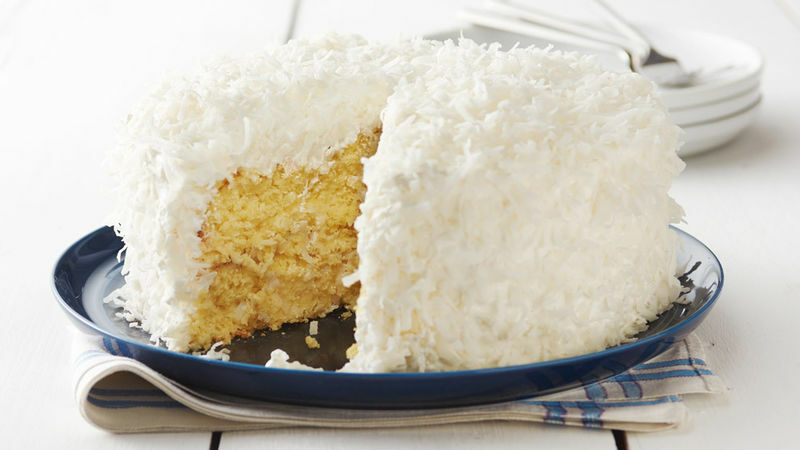 Frost top and side of cake with reserved coconut-whipped topping mixture. 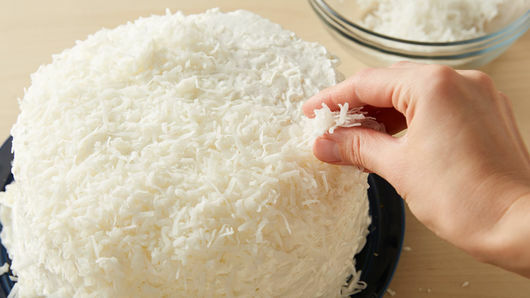 Press remaining coconut into top and side of cake. Cover; refrigerate 8 hours before serving.